Master Sgt. Jeff Fenlason (left), lead trainer with 3rd Infantry Division Raider Initiatives Group, interacts with Sgt. Maj. Jeffery Dice, operations sergeant major of 11th Armored Cavalry Regiment, during a train-the-trainer course for Bystander Intervention. “The professionalism and expertise of Fenalson’s team during the facilitator course helped to establish an environment of trust that was unparallel to any type of training we have conducted or hosted in a very long time. 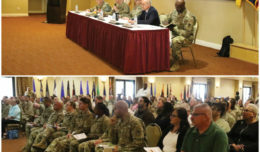 I would strongly support this training for any unit that is struggling with how to reduce risky behaviors amongst their Soldiers.” – Maj. Robyn Boehringer, SHARP Program Manager. The Chief of Staff of the Army’s guidance to take on the fight against sexual assault and sexual harassment as a primary mission is resonating throughout the force. The National Training Center’s response to this difficult problem-set is the Bystander Intervention program developed by 3rd Infantry Division Raider Initiatives Group. The powerful interactive and dynamic program is a primary prevention training model that focuses on trust and judgment development at the small unit level. 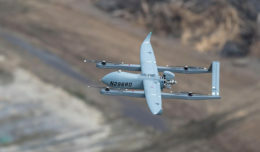 It is designed to assist Soldiers and units to initiate the culture shift necessary to reduce the probability of potentially harmful behaviors. The Bystander Intervention technique allows small group leaders to facilitate conversations within their formations in an effort to prevent all types of risky behaviors. Bystander Intervention was initially developed by the Raider Initiatives Group in an effort to eradicate sexual assault and sexual harassment in 3rd ID. Once the program had been established, it became clear that the fundamental concepts of BI address not only sexual assault and sexual harassment, but the entire spectrum of potentially harmful behaviors, including suicide and domestic violence awareness. Headed by Master Sgt. 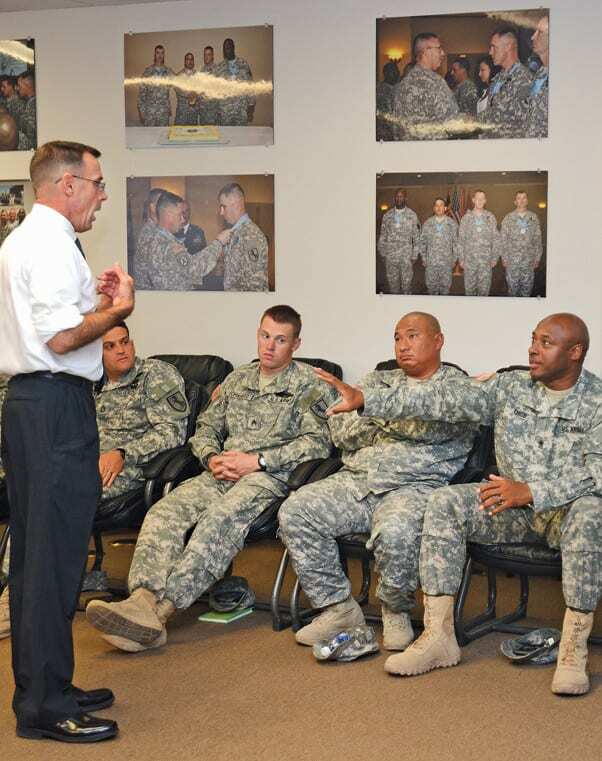 Jeff Fenlason, the 3rd ID Raider Initiatives Group conducted a five-day train-the-trainer course that has resulted in the certification here of 29 non-commissioned officers and commissioned officers as Bystander Intervention facilitators. Facilitators range in the rank of sergeant to sergeant major, and second lieutenant to captain. This group of select personnel has been charged with the implementation of the Bystander Intervention program here, in an effort to create a climate that encourages a bias for action among Soldiers at every level. 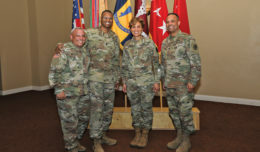 By creating this environment, the NTC is placing an emphasis on establishing a culture where Soldiers are empowered to step in and change the trajectory of an event in order to prevent undesirable consequences in negative situations and build positive unit cohesion through trust development and open, professional dialogue among Soldiers. During the five-day program, students were introduced to material in many different ways. While the bystander approach is not new, or limited to only 3rd ID, the approach taken by the Raider Initiatives Group resonates strongly at all levels because it uses operational requirements in a new and refreshing way. By using Army Doctrine Publication 6-0 Mission Command requirements, the unit is able to demonstrate and role model the importance of trust development and cohesion at every level. Raider Initiatives Group is comprised mostly of junior NCOs who are deeply dedicated to stamping out sexual assault and other high risk behaviors in the unit by role-modeling both professionalism and deeply held dedication to soldiering. Bystander Intervention training has been implemented during the newcomer’s training for Soldiers arriving to the NTC. Instructors are also available for unit training. Call 380-2290 for scheduling requests. The Army’s Sexual Harassment/Assault Response and Prevention program exists so that the Army can prevent incidents of sexual harassment and sexual assault before they occur. The SHARP program’s mission is to promote an Army culture and command climate that ensures adherence to the Army values and ensures that every Army team member will be treated with dignity and respect at all times and in all circumstances. Every Soldier, Department of the Army civilian and family member serves and supports the Army and the nation; they deserve no less.